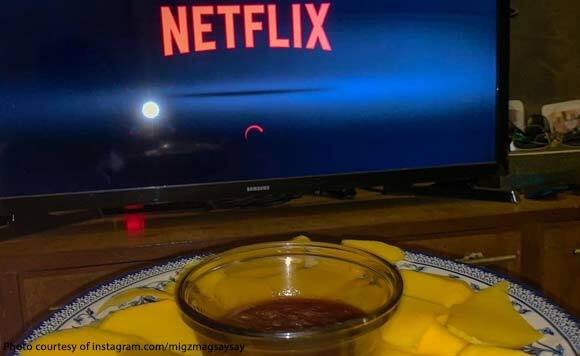 San Juan, La Union Councilor Miguel “Migz” Magsaysay is a big fan of Netflix – and this popular Pinoy snack! On April 6, the politiko decided to relax by watching some of his favorite series on Netflix. His binge-watching snack? Mangoes with bagoong! “Pang kontra tayo ti bannog,” he said in the caption.